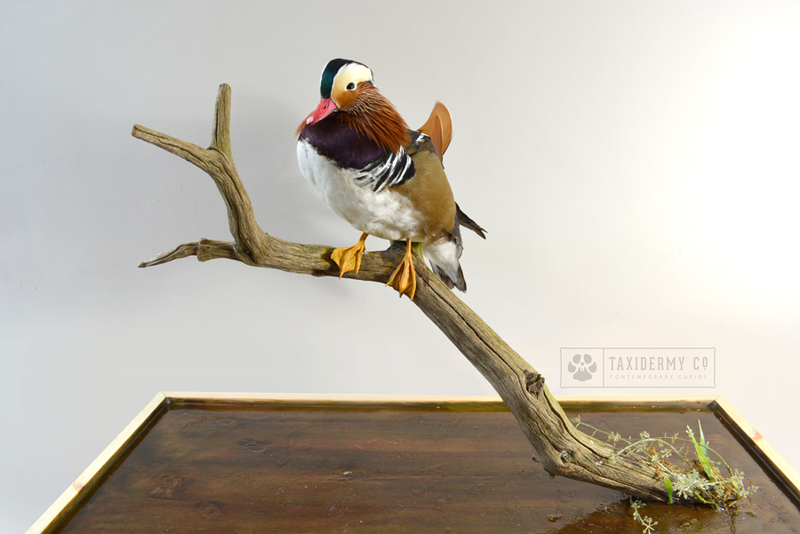 Taxidermy Mandarin Duck Commission Water Habitat Base - Complete! 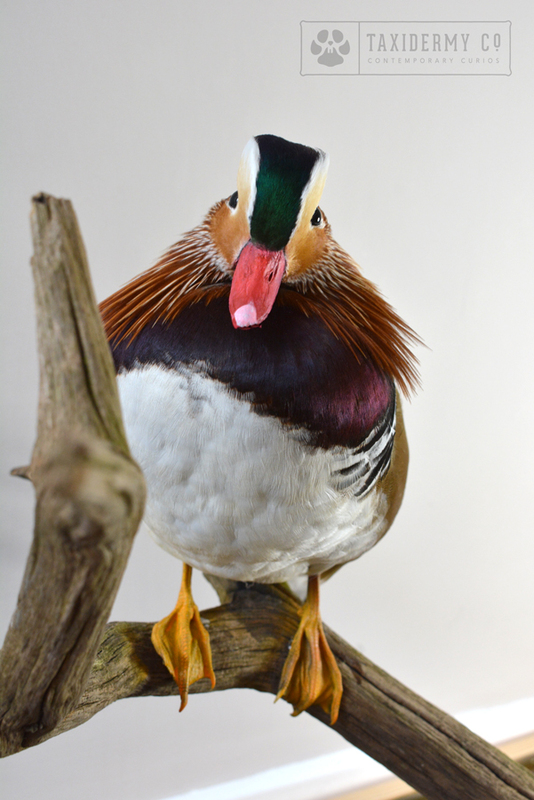 Taxidermy Mandarin Duck Commission - Complete! 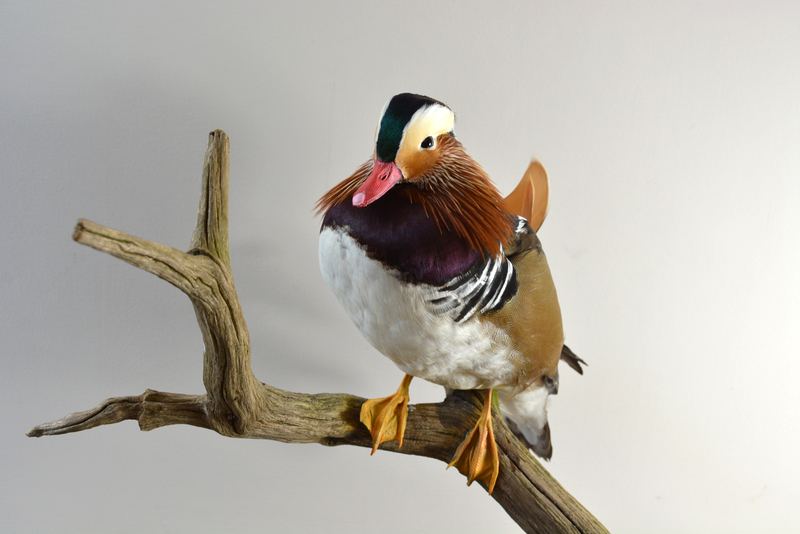 I have recently completed my first ever Mandarin Duck commission (first duck of any kind actually!). 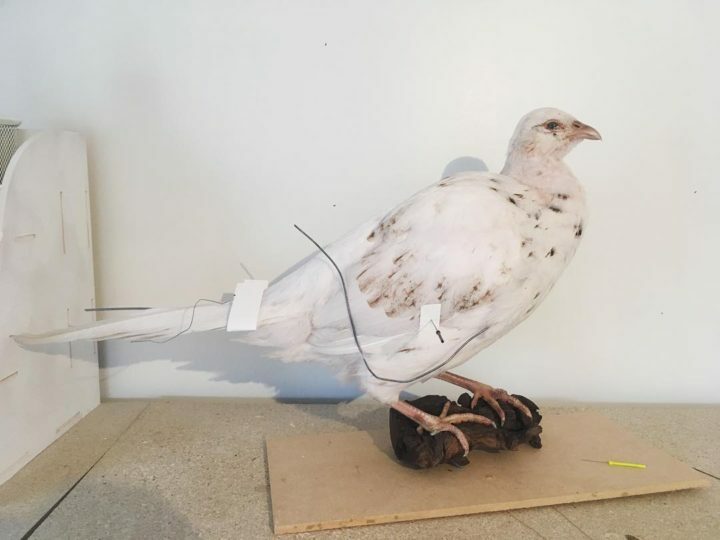 My client stumbled across him deceased and wanted to restore his beauty forever and wanted him posed on an ancient oak branch he found. 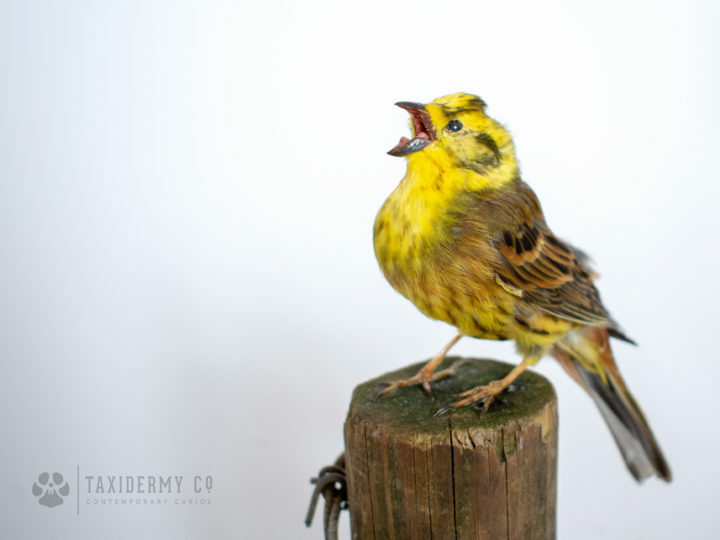 A bespoke glass case was also made for this taxidermy project, courtesy of Immortal cases & displays who did an excellent job of catering to the requirements. 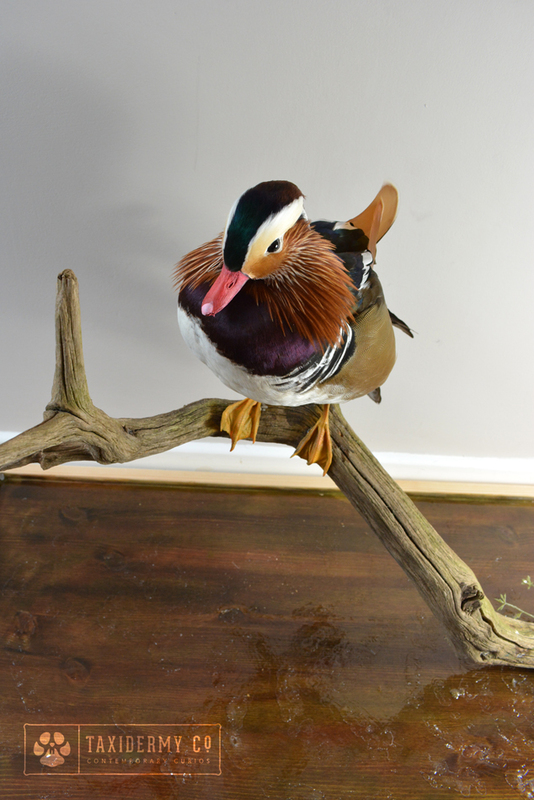 Because of the addition of the artificial water habitat base, I needed a wooden ‘tray’ style of base to contain it, which is what was made. 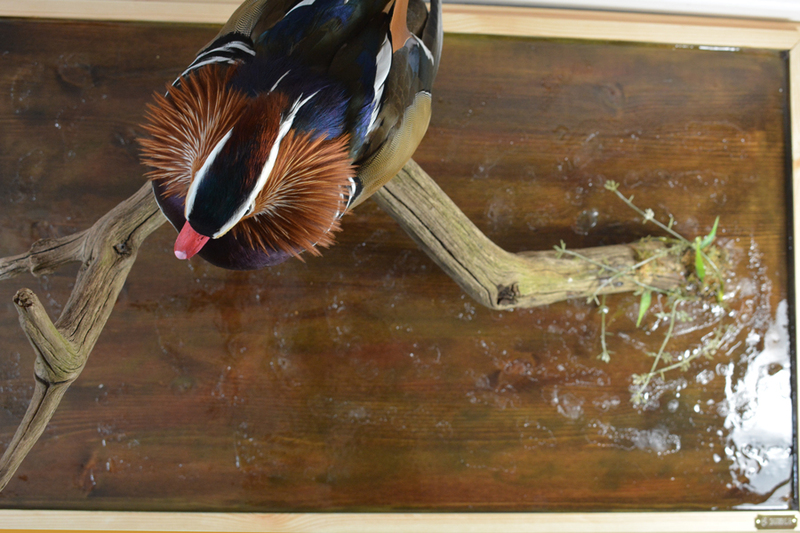 I added some ripples to the resin water which I think helps bring this piece to life. This project produced a lot of ‘firsts’ for me, but I am super happy with how this project turned out!